All were developed between 1877 and 1882 and are inter-connected. In 1882 The Kapunda Nursery was established by the Conservator of Forests in South Australia. In 1885 five acres (2 hectares) were cleared of indigenous forest south of the reservoir embankment and planted to 4,000 Remarkable and 600 Cluster Pines. By 1888 approximately two thirds of the area of the 35 acres (14ha) now known as the Pines Reserve had been planted as the Kapunda Forest Reserve. With carriage-ways separating the planted and some un-planted land, the area became very popular for picnics by the 1920s. Plantings of Sugar Gums were being utilized as telegraph poles by 1902. In May 1931 the Government let a contract to cut pines on the reserve at Taylor’s Gap. 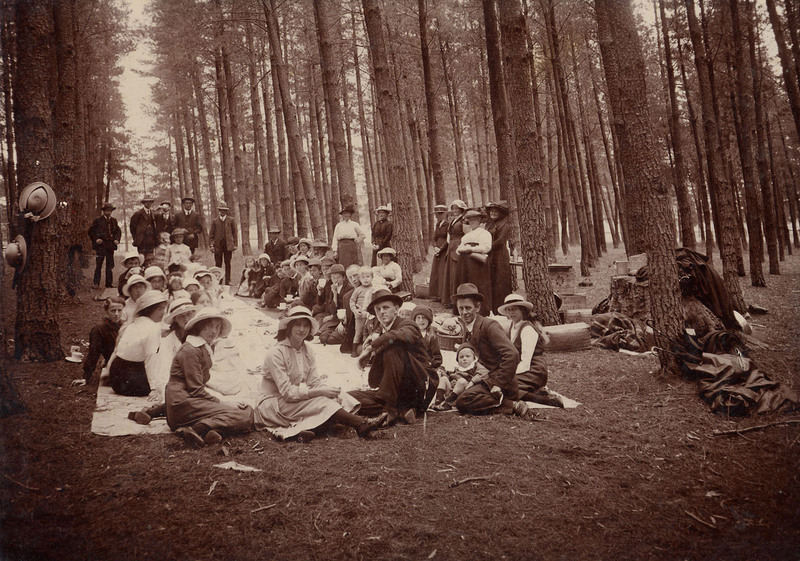 The Pines had been recognised as one of the beauty spots of the district and local residents regretted the need to cut them. Two rows were to be left. The trees were cut and processed through a mobile saw mill on site. In the mid 1940s the Mickan and Weichert families were involved in preparing wind-felled Sugar Gums and transporting them to the Railway Station to go to Port Adelaide to be used as wharf supports. Once trees were cleared further development as a Picnic Reserve included tennis courts, a shelter shed, barbeques and toilets. The use of amenities and their upkeep had declined by the 1970s in favour of more centralized development in Kapunda. Thank you for helping us preserve this park for your future enjoyment and the enjoyment of others.